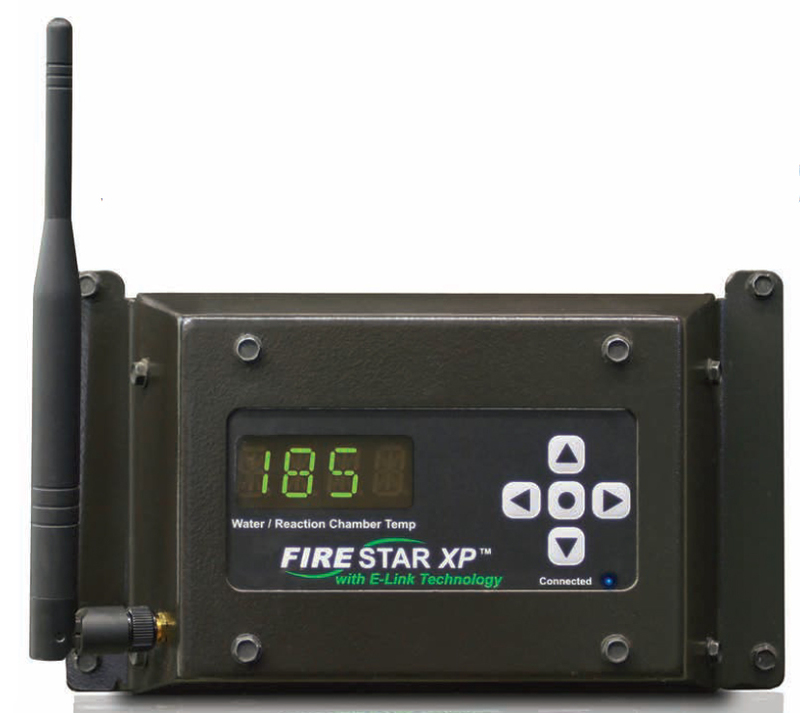 Outdoor wi-fi display and control panel can be used to remotely view operational data and menu settings on the FireStar II controller. Compatible only with a properly configured FireStar II equipped outdoor furnace (with software version 2.5x or higher on Maxim M255 PE models). Kit includes FireStar XP Outdoor Wi-Fi Module, wiring, Quickstart Guide, Operator's Manual and installation instructions. NOTE: Wireless range varies widely with each installation. Prior to purchase, a site survey (using a smartphone or laptop) should be performed to determine if the furnace site is within range of customer's existing wi-fi network. Range is generally up to 100 feet when unobstructed and there is no interference. Uses 802.11 technology.